If you have a vehicle with a truck license plate you must purchase a vehicle sticker at the Melrose Park Village Hall in the Mayor’s Office located at 1000 N. 25th Avenue. The only place to purchase your truck vehicle sticker(s) is at the Village Hall. 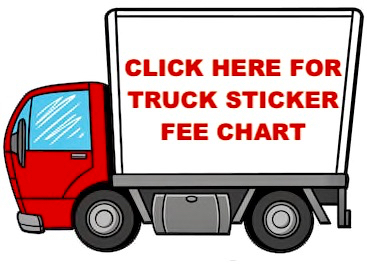 If you do not purchase your sticker by March 1, 2019, an additional fee will be added. Business hours are 9am-5pm, Monday through Friday. Please call (708) 343-4000 if you have any questions.